Tracey Bostock was born in Brisbane, QLD in 1961 and moved to Sydney with her family in 1962 where she now resides with them along the Cooks River, Tempe. Tracey has been surrounded by the arts from her mother's journey as well as her uncle's in theatre and media. 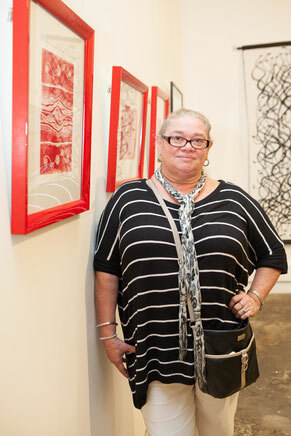 Tracey first exhibited with the Eora Centre for Visual and Performing Arts, Redfern in 1984 and has continued her relationship with art to this day. Her works have been collected privately, nationally as well as internationally including the Australian Museum and the Volkerkunde Museum.